dude! I love all this stuff you’re doing! “The Coca Cola Easy Roller”, the Star Wars and Smurf Ice creams! SO MUCH great stuff in here! -My biggest concern is that there are no representations of the flat rectangular Yogi Bear chocolate bars where Yogi was on the TV commercial saying “Start at the knees please!” -Also, a TV show on ABC called “Home” about a bunch of kids in foster homes who run away and live in abandoned train carriages and give themselves festy home made tattoos! 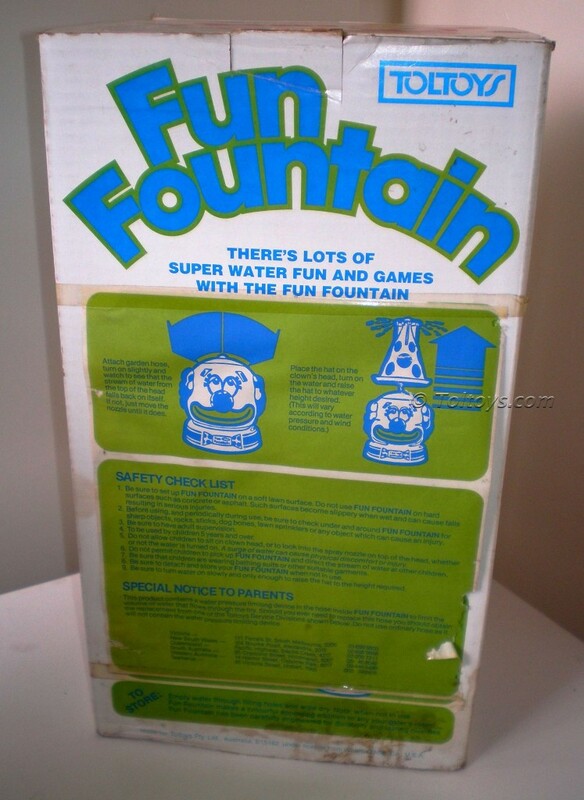 -these things are IMPORTANT aspects of my childhood and they are MISSING! -Have you seen them? 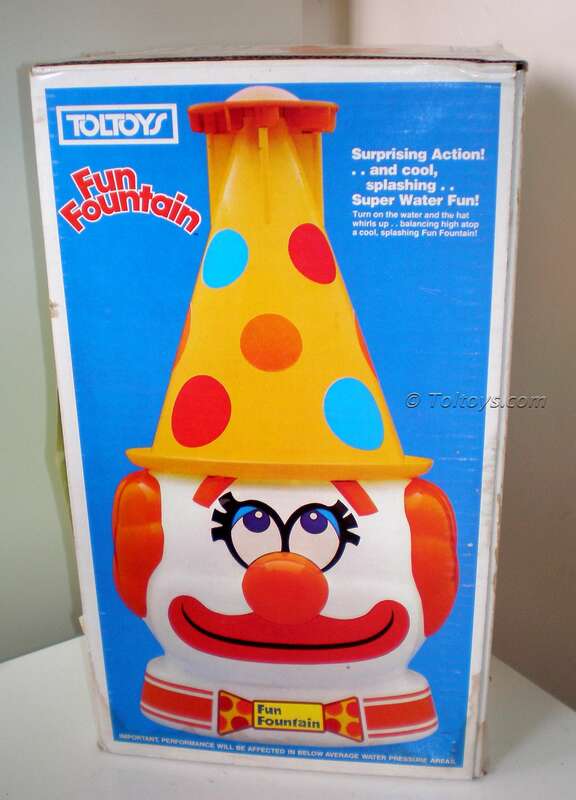 oh, and PS: I had one of these clown-hat-sprinkler things! I was telling my wife about it only a couple of weeks ago! Good work! 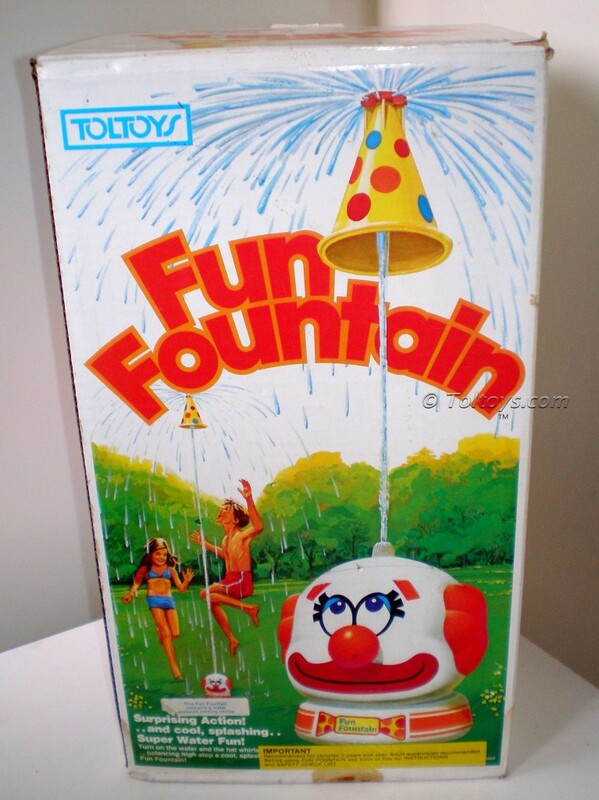 You’ll be happy to know that my brothers children and my own child were under my Fun fountain just yesterday in Melbournes heat. 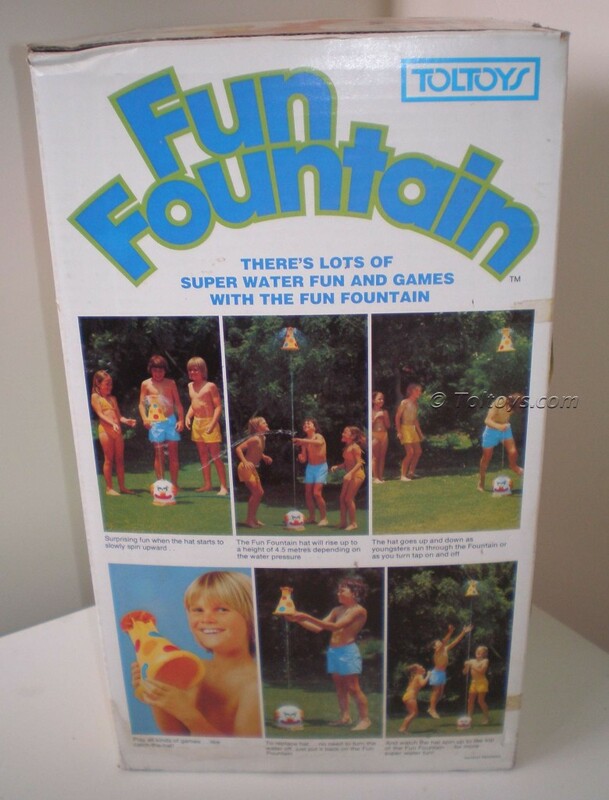 They can’t get enough of the 30 year old toy and they are 9, 8 and 4! Mind you my brother and I are still keen to do a run through. Great site keep it up!